What Might Be Fading from Our Wiccan and Pagan Community? Two things recently shook me up. First, a friend told me about how a work group came to her house and then her camera was missing. This work group was made of pagans who participate in community events. What?! Wicca, for example, is about respect for nature, respect for ourselves and respect for others. What happened here that some pagan stole a camera? Second, two elders in our community told me about how they are being marginalized. “Younger Wiccans are not honoring elders. They don’t listen,” said one of the elders. The above two incidents inspire the question: Is our Wiccan and Pagan community letting an important part of our identity fade away? 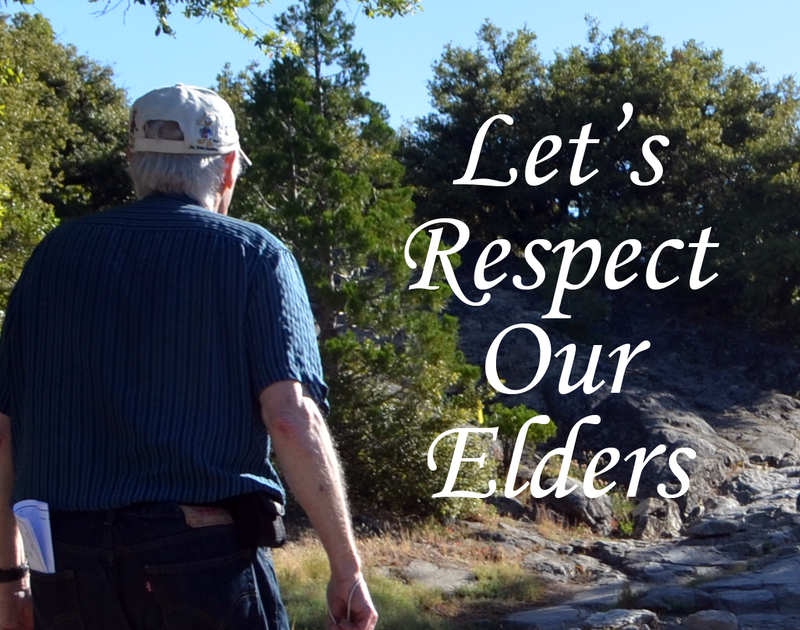 Elders and people’s rights to their property need to be respected. But there is something impinging on our Wiccan and Pagan community: For many of us, we’re an island surrounded on all sides by the Western culture’s self-centered ego, the “me, me, me” effect. Have you noticed that if we get caught up in our thirst for instant gratification we lose touch with the roots of Wicca? We’re used to getting everything instantly. Through the internet, we have instant music, news, and contact with others. There is a casualty in all of this: patience. And that’s where the lack of respect for elders comes in. Elders move and think at a different pace from those of us typing away at our electronic devices. More than that, many of us think that elders are too behind the times to offer anything of value. What could elders teach us? Certainly, they can inform us of things to be careful about when doing ritual. Further, if they have had long-term friendships or a long-term romantic partnership, they know something valuable! So how do we return to our Wiccan roots and enhance being respectful to others? For many of us, we need to practice being respectful to the one person with us all the time—ourself. Show some patience and compassion toward yourself. Then allow that patience and compassion radiate out from you. If you’re going to be near an elder, pre-plan a couple of questions you might ask him or her. You’ve been married 25 years. How did you do that? I hear that you’ve been friends with two people for 18 years. How did you take good care of your friends? Elders have gone through life stages that many of us have not experienced yet. Sure, the details change. They may have used rotary dial phones, and we now have smart phones. But elders have gone through big and tough changes including loss of friends and loved ones to death, for example. Wicca provides us with wisdom from the past. In fact, our Wiccan heritage has been passed down through the generations by people talking to each other. The process has usually been from elder to neophyte. So I invite you see how you can make some space, pause and listen. There’s so much that elders can share with us. I think this is a hard topic because I do not see it as that black and white. I actually have a lot of respect for my elders but I also notice how much they disrespect others. And that is a sweeping generalization, and for that I apologize. But I do see so much disrespect from elders to younger Pagans that I am appalled at the idea that they expect that the lack of respect is one sided. I think that elders also make a lot of generalizations and assumptions about younger Pagans and they are missing the mark very often. I can respect someone’s knowledge and that does not mean that I should have to be treated as if I have none. I have heard and seen some horrors, and this is one of the reasons the new Turning the Wheel project with Solar Cross was even started, to help bridge that gap for young leaders. Also of note, I think everyone has something to add. I think everyone should be respected. I also think that respect is a reciprocal relationship…. I have been with my husband for 19 years… age is not an indicator of wisdom in isolation. Thank you for your comment. Yes, I agree with you. You have a very good point in your quote: “I think that elders also make a lot of generalizations and assumptions about younger Pagans and they are missing the mark very often.” The youth of the Craft have a great deal to give to the community. And I would propose that all of us treat each other with respect and kindness.